Meet Boreak and Vannak. 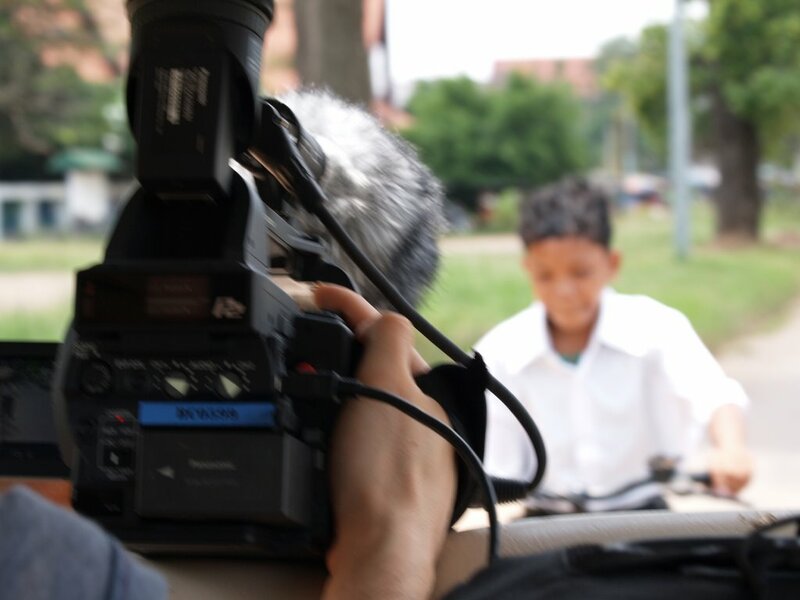 We spent the last two weeks filming and getting to know them in Cambodia. 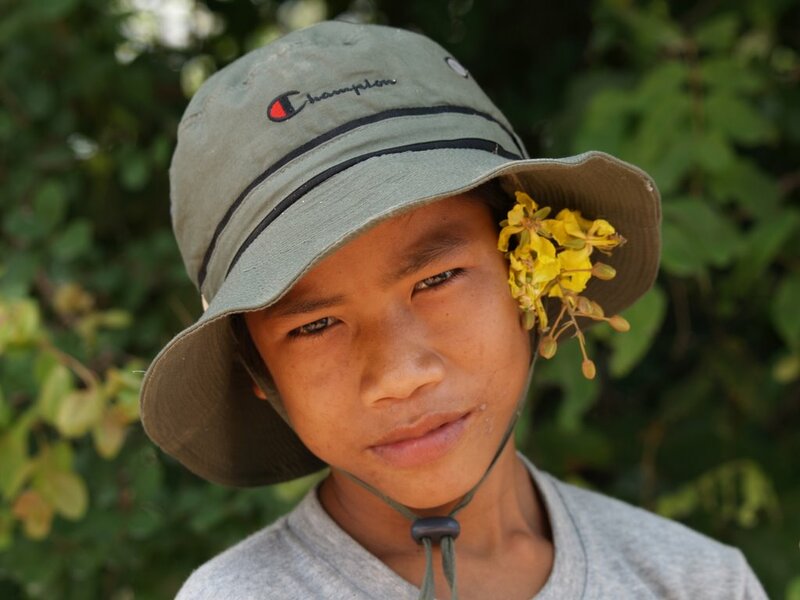 You’d never find a more different pair of boys – Boreak is moody, sensitive, at times hyperactive, and when he feels like it, a mischieveous bundle of energy.Vannak, on the otherhand, is quiet, thoughtful, studious and ever so polite. 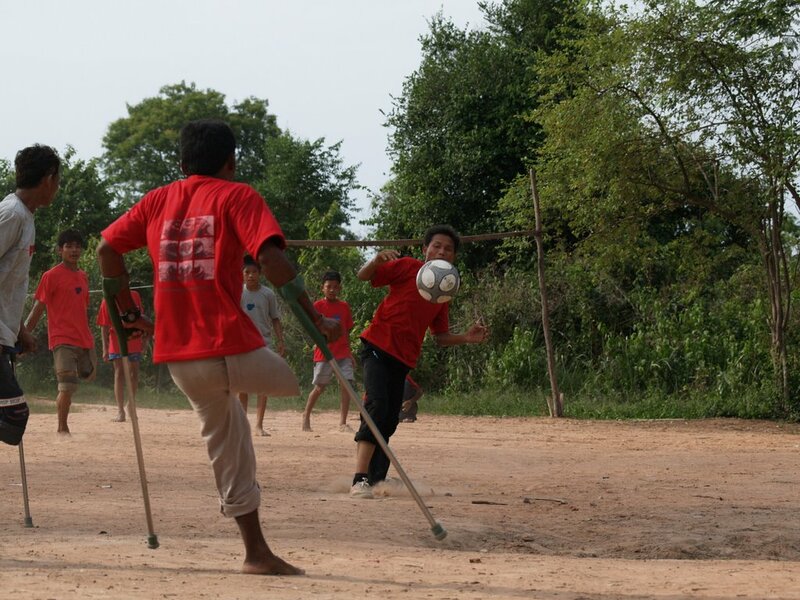 Both boys live in a home for landmine victims in Siem Reap. Both are 12 years old. Both are missing a right arm. 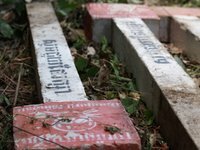 Children and landmines. The combination may not seem terribly uplifting. 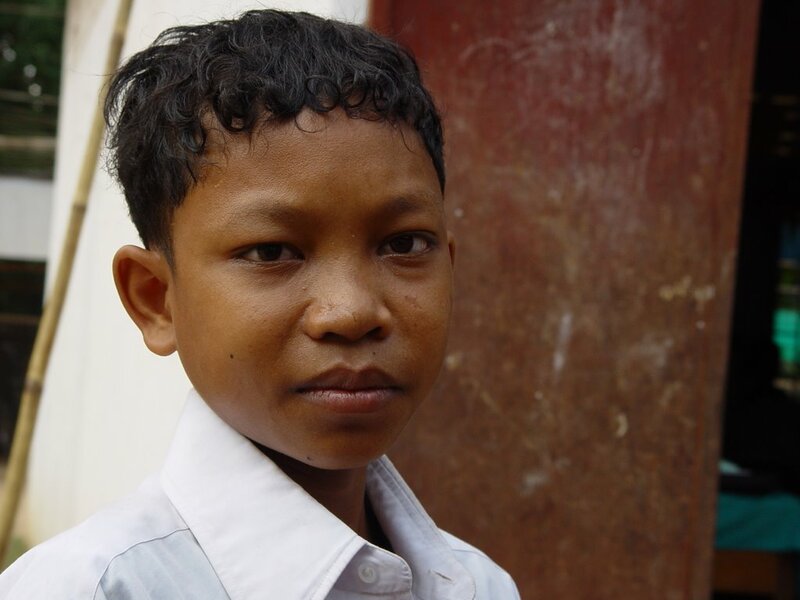 Yet, throughout the shoot, we never once felt sorry for Boreak, Vannak or any of the other young victims at their home. 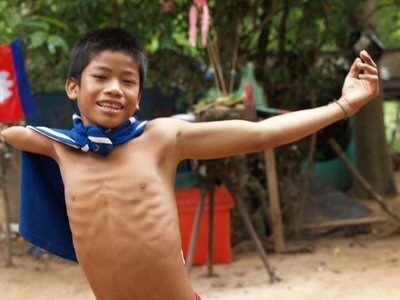 These kids can swim, sing, dance, draw and play a mean game of football. They tease each other, brawl, get angry, then grudgingly make up. They can be tender and cruel, impatient and stubborn, difficult yet endearing. In essence, they’re regular children. And they’re not at all sorry for themselves. Cambodia is a country studded with millions of landmines and unexploded ordnance. Per capita, it has the highest number of amputees in the world. Tourists to Siem Reap inevitably run into scores of armless and legless men and women, begging for spare change. But instead of looking at broad issues, we’ve decided to focus on Boreak and Vannak – see the world through their eyes, and understand what it is like to live in a place where one step in the wrong direction could lead to tragedy. Ultimately though, we hope these two boys will surprise our viewers as much as they did us. The AG-HVX202, courtesy of the good people at Panasonic. Shooting on HD meant gorgeous images. But we also encountered some early hiccups, mainly because we were among the first documentary makers to try out the camera. Rajesh, our Technical Manager was a godsend. Our time in Cambodia would have been utterly miserable without him. We’ve asked Rajesh to share his views on the camera and the shoot. Watch out for his post… coming soon. In the meantime, we’re preparing to leave for Germany tomorrow. PASSABE’s screening at the Munich International Documentary Film Festival. We’ve also been invited to the New Zealand Human Rights Film Festival and the Melbourne International Film Festival. Full details when we get back.